The new OnePageCRM mobile app offers a far superior sales experience for reps on-the-go. Our new app is so powerful, you can pretty much run your whole business CRM straight from your phone. Meet OnePageCRM, mobile version 3.0 for Android and iOS! The newest version of our app has been completely rebuilt from the ground up, offering you the best user experience possible. You’ll notice that all features from previous apps are available, as well as a host of new ones. Action Stream: We’ve streamlined the appearance of your Action Stream, bringing it closer to your desktop and refined how Pending Deals appear beside a contact’s name. Contact view: Updated Contact view now includes your contact’s photo, contact owner as well as a new click to call/send a SMS option. 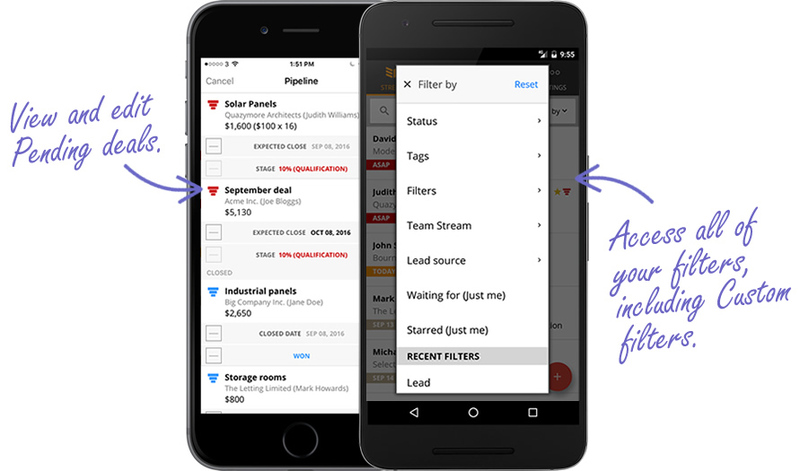 Deal Pipeline: View your Pending Deals first under the Pipeline tab, with all Won and Lost Deals stored below. Updated user interface: The new apps look and feel like the desktop version, so you get the full OnePageCRM experience while on the road. If you need to complete a Next Action at a particular time on a given date, Time in Next Action is now available on mobile. Set Queued Actions for your contacts from your phone so you do not forget them in future. If you’re working across a sales team you may need to Assign an Action to a team member to help move your contact closer to a sale. Since you’re working from your mobile, it’s fair to suggest that you’ll be making and receiving calls from customers. So you may need to Add Call Note to your contact. View your Deal history including Pending, Won and Lost deals as well as Calls and Notes under your contact’s Activity. All Filter and Custom filter options available on desktop application are now also available on mobile so you can better segment and manage your contacts on the go. 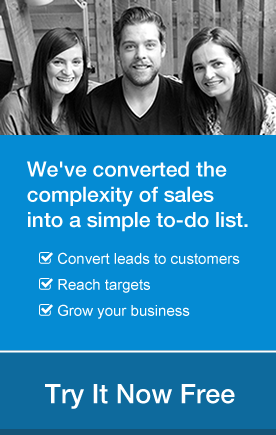 Working on the go is becoming increasingly common in sales so you need a CRM which can keep up with you. 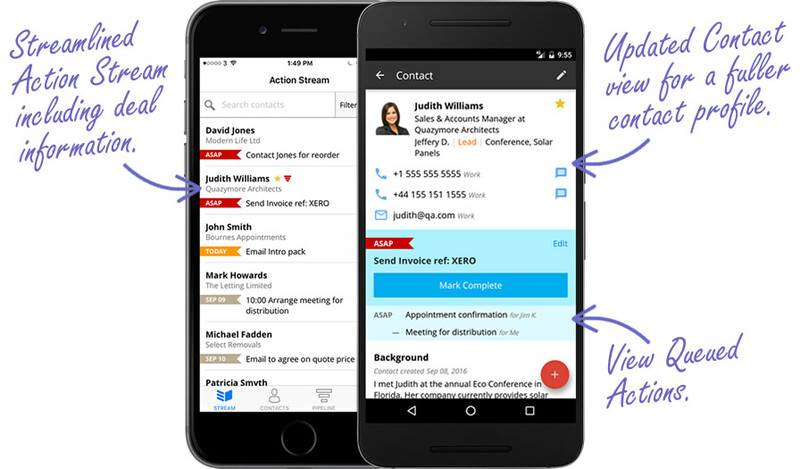 We’re bringing OnePageCRM’s mobile app closer to our desktop version so you can manage your contacts seamlessly, both inside and outside the office. As with all major updates, we’re keen to hear how this affects your work flow. If you have any feedback, please comment below or contact me at brianm@onepagecrm.com. You can download our OnePageCRM mobile app from Google Play or the App Store. Other than that, very nice and much needed upgrade. Thanks for your feedback Barry, they’re on the road-map for future updates.